“Do you think I could squeeze in up there?” I asked. The two men peered down at me from the campsite. I’d smelled smoke hanging in the air around the last two bends of the river, but I didn’t know where else to go and the sun was fading fast. “Some first night on the Mississippi,” I thought. I’d been hoping to have the campsite all to myself. I wanted to sit and think about the river. Stare at it and imagine how it would take me to New Orleans. I didn’t want to make small talk with strangers. I’m sure Mike and Wade thought the same thing, but they waved me up anyway and made room around the fire for one more. Awkwardness filled the first few moments as I dragged equipment up a muddy bank. We were just strangers and had no reason to talk beyond chance stranding us on the same curve of river, but we sat around the fire anyway, like humans have done since we first picked up a burning stick. From caves, to tents, to stone houses, the fire, the hearth, the warm pocket in the cold air, has brought us together. After a few stories, things began to shift, those thin threads of common ground spun together and thickened. We added a log to the fire. I borrowed a bit of oil to cook dinner and shared my battery charger for a dead cell phone. We told stories about giant fish escaping off lines and what a bobcat looks like springing across grass. The stars glimmered and we stared up, warm in the fire’s orange gleam. Another log and another along with a story about coho salmon in Alaska and mosquitoes thick as clouds. 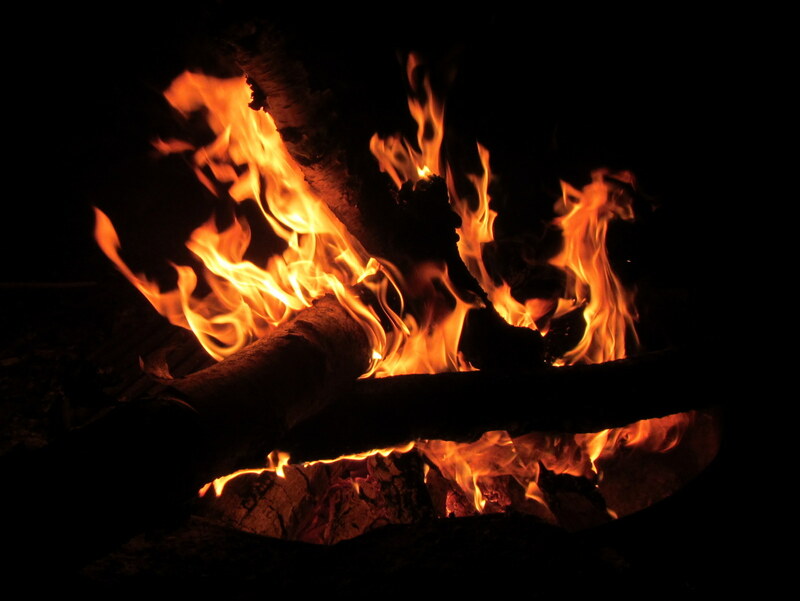 Embers glowed and turned to ash, new flames bit into dry wood, and night stalked around our circle, but never in. A story about climbing up a muddy bank, another about crisp apples in a tree. Somewhere we shifted around that ring of fire. Somewhere it felt more and more like the three of us were out there together. More logs disappeared into ash. I stared across fresh flames and no longer saw two strangers on a muddy bank, no longer felt disappointed by their company. The campsite would have felt hollow without them. We threw the last logs on the fire. Posted in Angle to Key WestTagged AKW September, Angle to Key West, campfire, community, fire, minnesota nice, mississippi riverBookmark the permalink. Beautiful. Sometimes we need time alone, for sure, but in so much of your writing you show how important it is for us to connect with one another and shine our lights together.